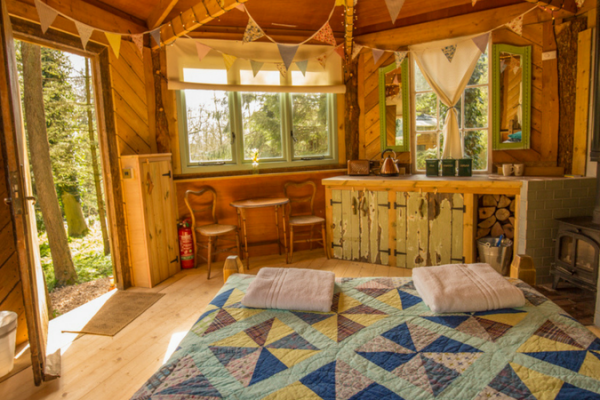 West Lexham Glamping in West Lexham Manor, Norfolk, offers wonderful glamping treehouse facilities in a stunning location. Situated in a beautiful estate at the heart of the countryside, it is an idyllic holiday destination. The luxurious glamping tents are stylishly furnished with wooden beds, rugs, furniture and lights; we even have vintage flushing loos and hot showers. There are also fully equipped kitchens with a range of superb appliances: fridges, gas hobs, oven, wood fired pizza oven, cutlery, crockery etc. You can also enjoy a glamping experience in a stunning treehouse. Each one is hand built, designed and decorated in West Lexham's unique rustic chic style providing oodles of charm and character. 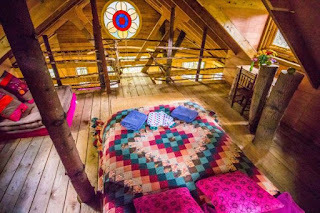 Whether you are looking for a yoga retreat centre, spiritual retreat venue, group hire venue or a course or workshop venue, West Lexham can provide the tools and the setting. Powered by solar, sustainably sourced wood, community spirit and fresh local foods, just allow the fresh air and verdant nature to work its magic.